(TibetanReview.net, Oct04, 2018) – The 17th Karmapa Ogyen Trinley Dorje is reported to have acquired a Dominican Republic passport in order to be able to travel freely to his many centres across the world even as New Delhi continues to urge him to return to India as desired by his many devotees. “Acquiring foreign citizenship is an old issue, it does not make the Karmapa less of a Tibetan. It is only for ease of travel and doesn’t diminish his stature,” Mathur has added. The government of India has asked the Karmapa to return to India as his followers want him to stay in the country, tribuneindia.com Oct 3 cited an unnamed official privy to the development as saying. The Cabinet Committee on Security, headed by Prime Minister Narendra Modi, had also decided to allot a piece of land to the Karmapa in Delhi to construct his monastery. The Karmapa has referred to this in a past media interview, indicating that he was considering it, with the steep cost being an issue. The report cited the official as saying the Tibetan spiritual leader was believed to be reluctant to return to India as he wanted unrestricted movement within the country as well as abroad. The report said that currently he was allowed to travel anywhere in India, except the Rumtek Monastery in Sikkim, which is a subject of court dispute, but has to take the permission of authorities for his travels due to objections raised by the intelligence agencies. The mainstream Sikkimese Buddhists recognize the 32-year-old Ogyen Trinley Dorje as the real spiritual heir and successor of the 16th Karmapa who passed away in 1981. The Government of Sikkim has written several times and passed resolutions, requesting the Centre to allow the Karmapa to be formally enthroned at Rumtek. 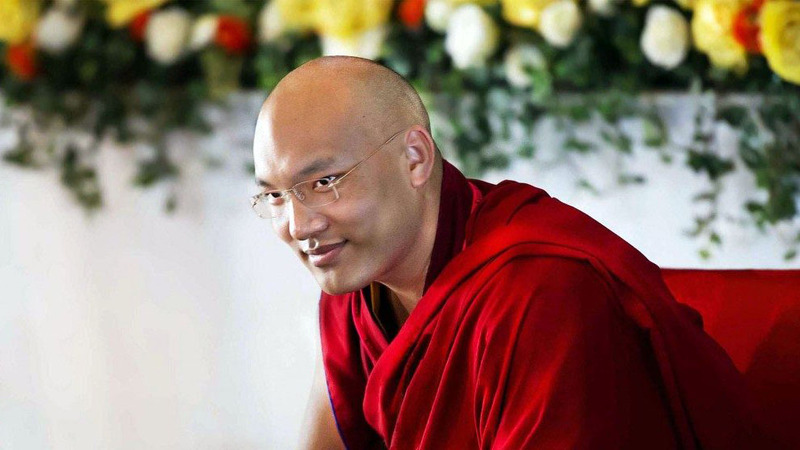 The 17th Karmapa Ogyen Trinley Dorje, head of the Karma Khagyu lineage of Tibetan Buddhism, was born in Tibet and escaped to India through Nepal at the age of 14. He reached Dharamshala on Jan 5, 2000 and had his first meeting with the Dalai Lama, the spiritual leader of Tibet, who had endorsed his recognition. The Karmapa has previously indicated that he will come to India for a Nov 2018 summit at Dharamshala of Tibet’s top spiritual leaders. He previously hoped to visit Sikkim in July this year, but this did not happen.